ORIGINAL FLAT - CHROME Jest 5 produktów. Komplet strun Original Flat-Chrome orkiestrowe. Struna I G Original Flat-Chrome orkiestrowa. Struna II D Original Flat-Chrome orkiestrowa. Struna III A Original Flat-Chrome orkiestrowa. 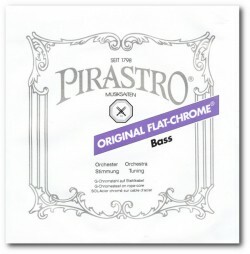 Struna IV E Original Flat-Chrome orkiestrowa.